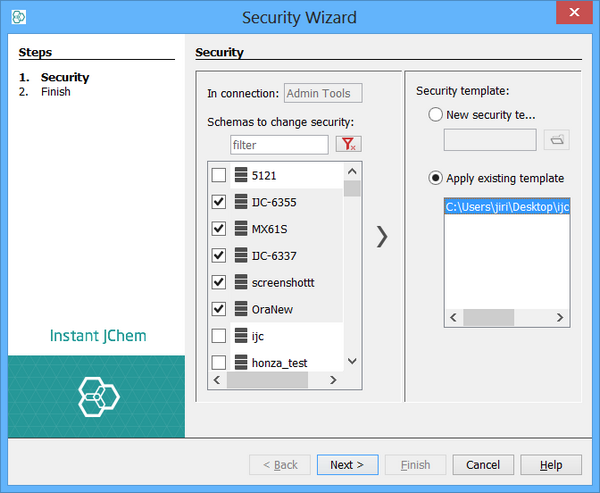 Security operation is used to change or remove security template of one or more schemas from one connection. When entering wizard source connection and source schemas are prefilled. User has to choose new security template in the .xml format. User can select any file from his disk or choose one from listed existing templates that have been already used in past and therefore Admin tool remembers them.